The increase in the numbers of obesity has been highlighted over and over again here but also in the press as well as by scientists. The rise in the consumption of energy dense foods, like fast food and snacks, is partially to blame. However there are lifestyle factors that seem to interact with weight gain, if not facilitate it. This article is based in a review of studies on the effects of lifestyle factors on food intake. From this review, three factors emerged as the more influential on food intake. Those were alcohol consumption, tv watching and sleep deprivation. Of the three, alcohol consumption’s effect was the most pronounced whereas tv watching was the least pronounced. But how do they affect food intake? There is such a thing as reward of food. We feel that consuming it is positive. This particular characteristic was very important for our survival as a species. So why is that so bad? The reward each one of us feels is not the same. In some of us reward is heightened, to the point where it is not as easy for our brain to control it. The result is we tend to eat more. One’s value of reward is only in part genetically determined. Lifestyle factors also affect reward. By changing those, which is in our hand, we may be more effective in maintaining a healthy weight. Alcohol has been linked to reward through the peptide ghrelin, and it also affects γ- aminobutyric acid. When the latter’s levels are changed the result is a stimulation in appetite. Sleep deprivation’s influence is achieved through metabolic and endocrine changes. Furthermore, it has been observed to stimulate reward in the brain, hence amplifying its value. 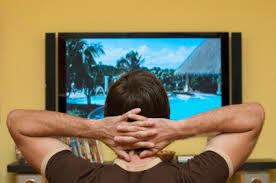 Likewise tv watching also affects reward and is associated with increased snacking as well. The three factors we specified above do not impact food intake only through the reward system. Neuroimaging evidence suggests that all three can be upsetting to the function of those areas of the brain associated with inhibitory control. Therefore they make us more vulnerable to temptations and stimuli. By being mindful of our lifestyle and the effect it has on food intake we can be more healthy. Chapman C.D., Benedict C., Brooks S.J., et al. (2012) Lifestyle determinants of the drive to eat: a meta-analysis, Am J Clin Nutr, 96(3):492-7.